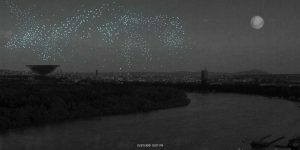 This project speculates on alternative ways to treat Belgrade mosquito problems using drone technology. 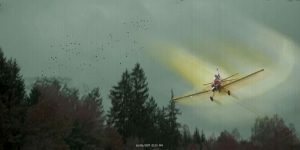 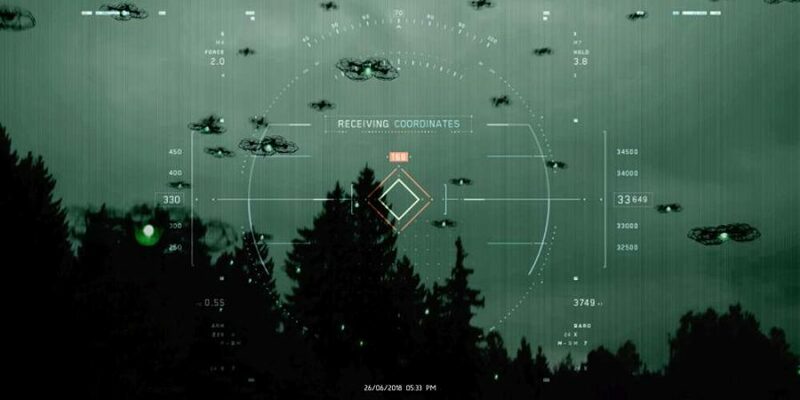 Instead of polluting the air above inhabited lands with aggressive insecticide spraying, drones could be employed to precisely locate and eliminate mosquito larvae habitats as well as individual adult insects. 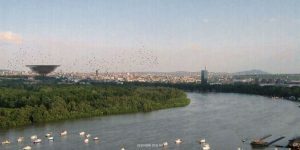 The Great War Island, being centrally located and surrounded by water, is a mosquito-friendly environment, making it an ideal ground for treating Belgrade mosquito problems. When finding and eliminating a mosquito, each drone would emit a light signal, simultaneously taking part in an aerial spectacle above the island – and turning all three surrounding Belgrade river coasts into open air summer auditoriums.